We woke up before or around sunrise every day. It helped us beat not only the heat but the other park visitors as well. The other big tip is always, always, always carry more than enough water. I highly recommend using a hydration pack so you can more easily carry your water while having two free hands to rock scramble with. This is a desert and will sap you of what water is in your body at every opportunity. 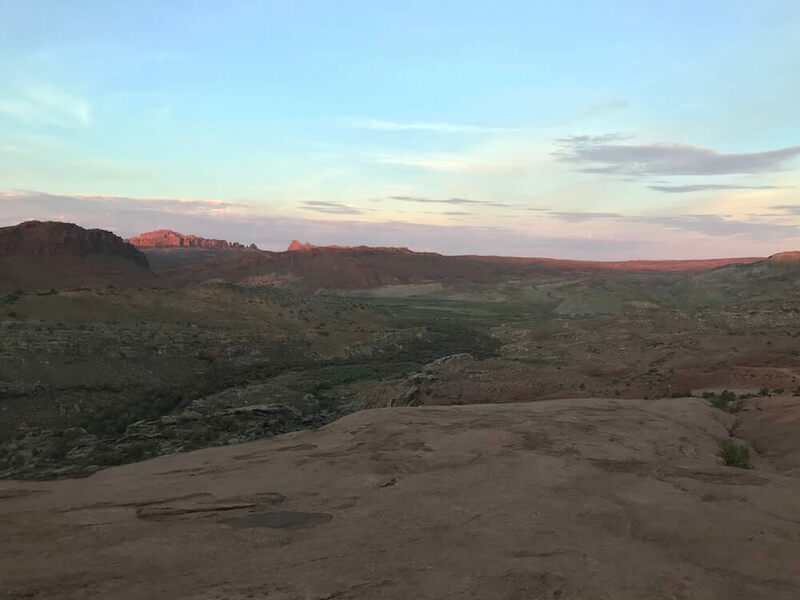 Get out to the Delicate Arch trailhead while it’s still dark out, chase the sunrise. This 3 mile round trip hike to see the the most iconic arch in the park is well worth your early morning wake-up call. Even at this time we arrived to a ¾ full parking lot. 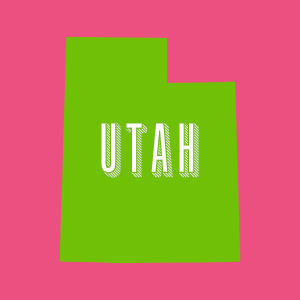 It’s one of the Utah license plate pictures for a reason. Good luck leaving, we sat and stared at this rock formation for what felt like no time but a long time all at once. When you finally peel yourself away, head to Sand Dune Arch while it’s still cool out. This short hike is right off the road, when the breeze is blowing with the cool morning air, this is one of the more pleasant walks. If you’re looking for a little adventure and don’t mind rock scrambling, make your way to the Devil’s Garden trail. You’ll start out on an easy gravel path for the first half mile or so. However, after you pass Landscape Arch, you’ll begin to climb up large boulders. Unless you’re deathly afraid of heights, this shouldn’t be a difficult climb if you are reasonably in shape. If you can do this in a cooler part of the day, that is preferable as it can get quite warm. Though that is the case with any of these hikes. We made our trek the out and back via the path to Double O Arch. There is another path that takes you into the canyon but with the heat what it was and with the water we had we thought it best to not venture into the canyon. This is because there are fewer people on that trail and it is graded as more primitive. Not to mention it would likely not have much of a breeze in the canyon. As the heat of the day sets in, avoid long hikes. Instead, take drives along the scenic highway stopping at the overlooks and short hikes. Our favorite short hikes/overlooks were Double Arch, the Windows, and Balanced Rock. You’ll want to stay in nearby Moab. There are plenty of lodging choices in the town. We rented an Airbnb which is what I would recommend for most people. Another option is, of course, to camp in one of the nearby campgrounds.  The area is very camper friendly and I’m sure you could find some amazing camping nearby. We unfortunately didn’t camp this trip so I can’t make specific recommendations for that but there looked like there were a plethora of options. Our first night was after driving in from Salt Lake City, we ate at Antica Forma. This had some delicious pizza and salads. A pretty casual environment, like most of the area. If you’re not in the mood for pizza, I would suggest either La Sal House or El Charro Loco. La Sal House serves excellent New American style food. While El Charro Loco serves Mexican food and will give you more than you could possibly eat in one sitting. 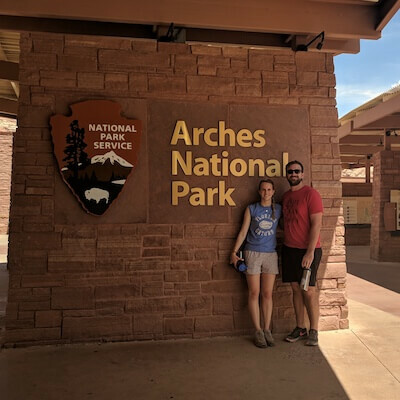 For Arches, if you are fine with hiking most of the day, you could see all the park has to offer in a day. It’ll definitely be a jam packed day but that’s what we did. You could easily stretch that time into more days if you prefer to take it a little more easy than we did. There’s also a lot of non-hiking choices you could do that we didn’t take advantage of, such as Jeep tours and mountain biking. 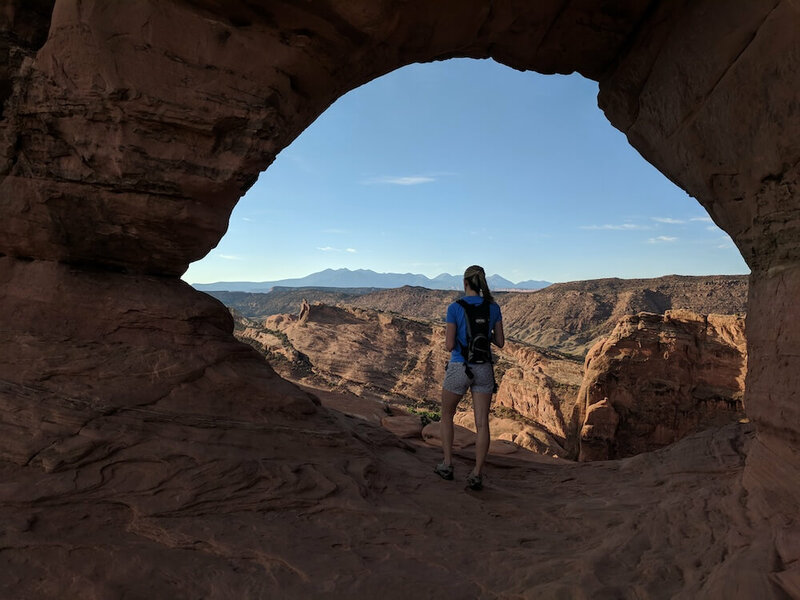 Even though you can see Arches in one day, you’ll want to continue using Moab as a home base for our next destination, Canyonlands National Park.